5 star airline with the "World's most stylish uniforms"
Qatar Airways is the national carrier of the State of Qatar and one of the world's fastest-growing airlines. With a modern fleet and serving over 150 destinations, the airline is based at Hamad International Airport in Doha. Qatar Airways has been awarded with 5 stars - the highest rating possible - by Skytrax for the high quality of its product and service onboard. 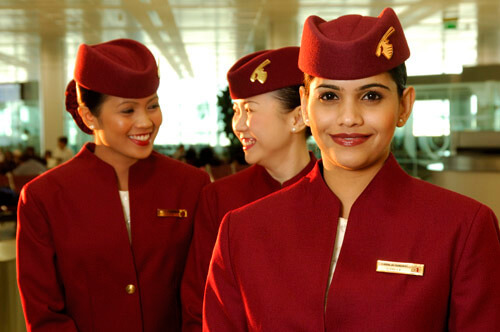 Since 2008, Olino has been the main supplier of uniforms and various accessories for Qatar Airways' cabin crew, flight operations staff and ground services staff - a total of some 20,000 uniform wearers. In addition to serving Qatar Airways, we are also the main uniform supplier for Qatar Executive, Qatar Aviation Services, and staff at Hamad International Airport. Our service setup with Qatar Airways includes managing a global network of manufacturers to ensure the reliable supply of Qatar Airways uniforms. Based on long- and short-term client estimates, we carefully plan to ensure flexibility and on-time deliveries. 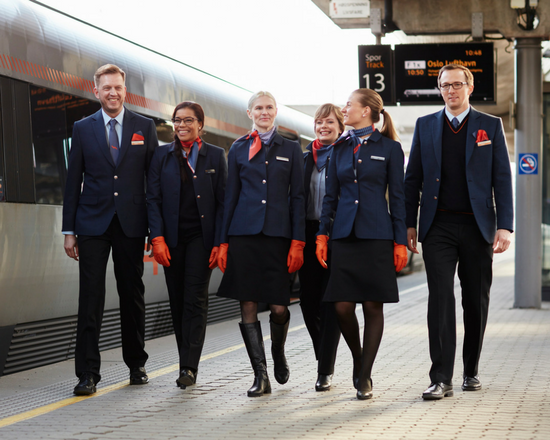 We also manage the airline's stock uniforms from our headquarter in Denmark. Monthly shipments are delivered to Qatar Airways' uniform center, where onsite staff perform alterations and employees pick up their garments. 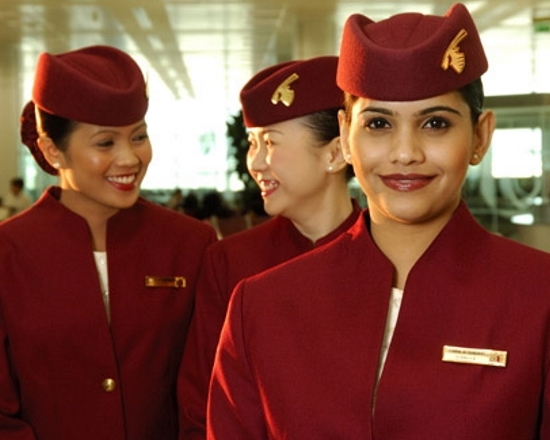 Of all the world's airline uniforms, Qatar Airways' burgundy female cabin crew jacket with its stand-up collar, gold buttons and blue wool lining is probably the best known of all. Yet every item in the airline's range plays an important part in creating the desired impression. We developed a complete uniform program, including garments and accessories, for Qatar Airways flight operations staff, cabin crews and ground services staff. High-quality materials and workmanship ensure the impeccable look that is so strongly associated with Qatar Airways. Constant follow up and adjustments of fits and functional details has perfected the uniform over time. 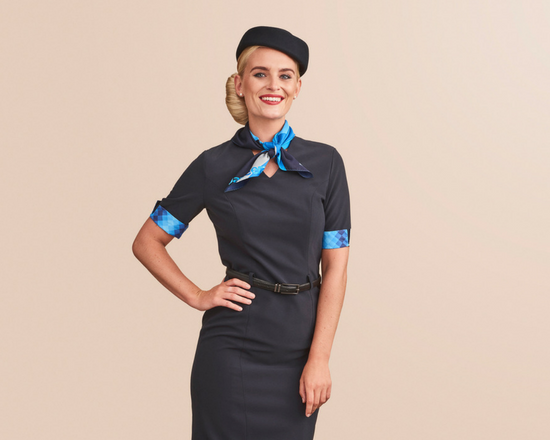 When relaunching the company brand, Jazeera Airways teamed up with Olino to develop and deliver their new uniforms.